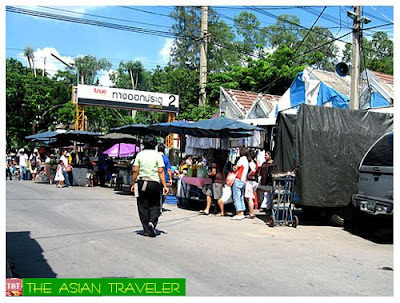 Majority of the visitors who have been to Bangkok, Thailand would know about the Chatuchak Weekend Market. 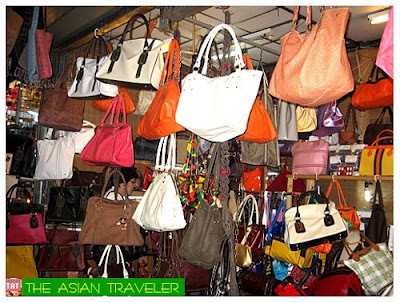 If you're a shopaholic and loves go bargain hunting, you'll surely love this place. 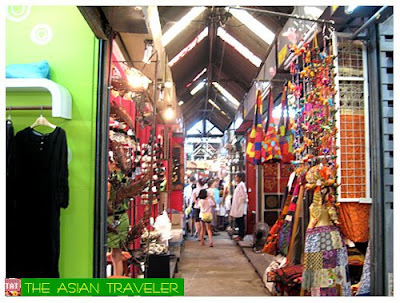 Chatuchak or JJ is One of Asia's Largest Outdoor Markets with around 15,000 stalls that cater to hundreds of thousands of visitors. For me, this is the best and mother of all markets. 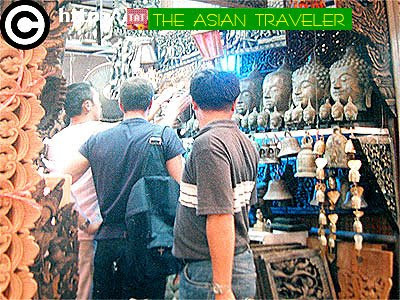 It is segregated into different sections such as clothes, bags, paintings, Thai handicrafts, fashion accessories, plants, food, antiques and pets, just to name a few myriad range of items that are being sold here. We chose to take a taxi going to Chatuchak Market. Since we were in a group, we decided to divide ourselves into groups of two to make it easier for us to roam around the huge market. Our cell phones were also a handy device and provided big assistance to us. 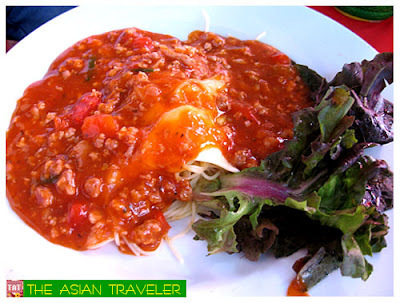 After we finished with our shopping jaunt, we decided to reconnoiter the countless Al fresco eateries, shacks and food stalls for some delightful gastronomic lunch. We sat back and enjoyed the dishes that we had. 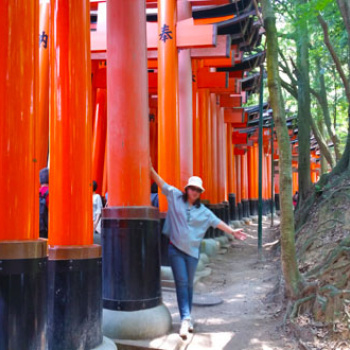 Remember to wear comfortable and light clothes when you visit here. This place become unbearably hot, sticky and crowded during peak hours especially in the afternoon. The market is humongous that you need to enhance your energy and physical stamina. Be prepared and look for posted maps because there's a big possibility that you might get lost. Take plenty of cash as they don't accept credit cards. However, there are also a number of ATM's with foreign exchange booths in the area. 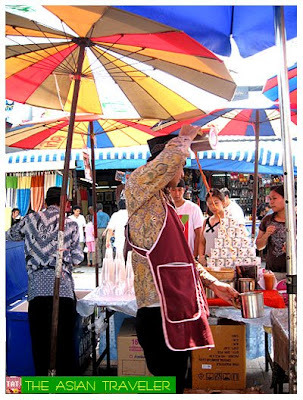 Chatuchak Weekend Market is officially open on Saturdays and Sundays from 9:00 am to 6::00 pm. 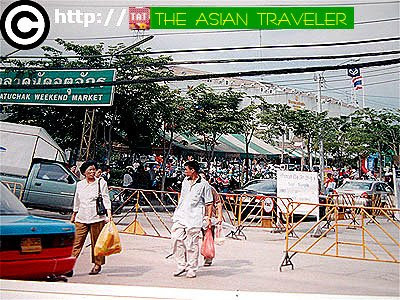 It is located at Phahonyothin Road, close to the intersection of Phahonyothin and Ladparao. Aside from taxicab, another way to get to this place is the Skytrain. You may alight at Mo Chit Station, which is only five minutes walk away from the market. Please include me in on your "pasasalubungan" list. hehe.. It's my pleasure sis. Really? Wow, enjoy your trip and don't forget my "PRESENTS". hehe.. I remember dto ako nakabili ng Thai traditional mask at dto ko rin natikman ang pinakamasarap na pad thai. Yum yum! i've never heard about this market before...going to markets is another fun thing to do when travelling...enjoy your trip! Really? 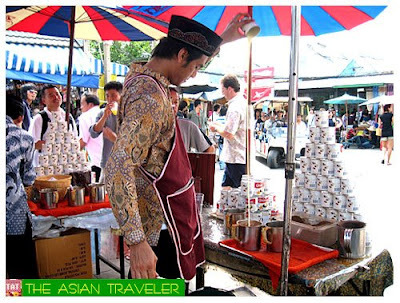 Hmm I wonder why, Chatuchak market is very famous to locals and tourists. 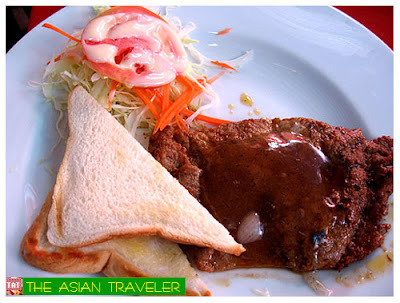 That concoction you referred to can also be found in Malaysia. I'm guessing it's the 'Teh Tarik' we call in Malay which means 'pull tea'. It's just a special way of preparing the milk tea. The leached tea extract is added with condensed milk and instead of stirring to mix, it is pulled several times as shown in your picture. The effect of pulling adds broth to the drink which you would not get with normal stirring. 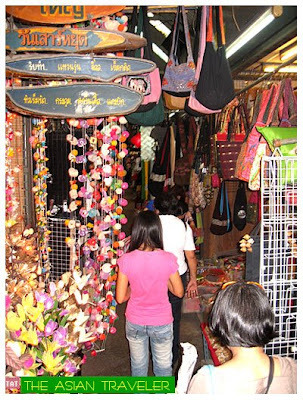 Excellent narration of the Chatuchak Market. Love it. Keep it up!